Best ETL Testing Training in Chennai provided by Credo Systemz is completely hands-on and practical training. ETL Stands for Extract, Transform and Load, and we ensure your transformation by best ETL expertise in the industry. Our Interview based ETL testing training in Chennai will extremely benefit fresher and experienced candidates as well. 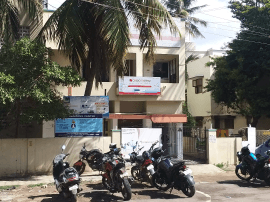 With our continuous efforts for delivering the effective Job oriented ETL testing training, Credo Systemz is rated as Best ETL Testing training institute in Chennai. Our ETL testing course content/syllabus is designed with consideration of current industry Job requirements to provide in-depth knowledge on ETL testing concepts. 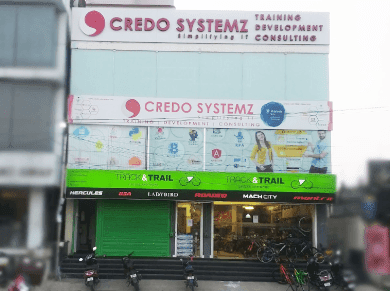 Credo Systemz ETL testing training approach is very unique, we provide practical scenarios for each candidate and module them to become an expert in ETL testing with Best ETL Testing in Chennai. Our ETL testing trainers are having depth practical knowledge in ETL concepts with working experience of 10+ in IT industry. Analyze and explore business requirements. How to prepare the test cases with the help of design documents which is provided by the development team. What are the different tools available in the market? How to prepare test cases? How to execute test cases? Select, Insert, Update, Delete, drop, truncate, filter, alter, Where, Group By, between, IN, having, order by commands. How to use “IN / NOT IN, Set” Operators? What is Union, Union all, Intersect? Detailed instructor led sessions to help you become a proficient Expert in ETL Testing. Build a ETL Testing professional portfolio by working on hands on assignments and projects. Lifetime access to downloadable ETL Testing course materials, interview questions and project resources. What are the prerequisites for ETL Testing? ETL testing is very easy to learn even you are fresher, Having the basic knowledge in SQL and Manual testing is more than enough to learn ETL testing. Also, our ETL testing course content starts from scratch will help you to learn the subject easily. You can also join for both Manual testing and ETL testing training with combo offer. What is the course duration for ETL Testing? Our Best ETL Course Duration is 45 hours. In this duration, you will learn how to use the tools with hands-on training. What is the scope of ETL testing in future? The future of ETL testing is bright and also the demand for ETL testers are always high in the industry because of its usage. Even you can verify the top job sites like Naukri, LinkedIn, Shine to check the number of job opportunities for ETL testers. Thus learning ETL testing training with placements in Chennai will help you to get your dream job easily. Can I attend a free demo session for ETL Testing? Please call us at +91 9884412301 / 9600112302 to book a FREE demo session or share your details here to get a FREE consulting session.